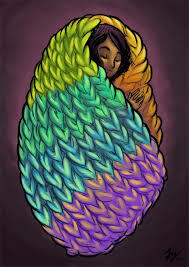 Why Do We Like to Cocoon? 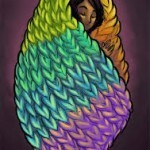 We love to be enveloped or surrounded in a protective or comforting way. Wrapped. Swathed. Cloaked. Enfolded. Enveloped. Covered. Folded. TO FEEL SAFE. That is the piece de resistance. Why Do Terrorists ID Call Themselves ISIS? 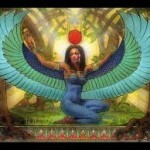 ISIS is an Egyptian Goddess. ISIS, known as the TRAIL OF TERROR, was born from an especially brutal al Qaeda faction, the Islamic State of Iraq and Syria. ISIS has grown from relative obscurity in recent years to overshadow its extremist patrons. But let’s get down to it. Why has this terrorist group choosen the name ISIS? ISIS is the ancient Egyptian goddess where she was worshipped as the ideal mother and wife as well as the patroness of nature and magic. She was the friend of the slaves, artisans and the downtrodden as well as the wealthy, aristocrats and rulers. 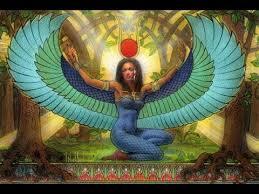 Also known as protector of the dead and goddess of culture, ISIS is the GODDESS of health, marriage, and wisdom. NEXT: Why Girl reveals other powerful symbols that eventually morphed from good to evil.